If you think about life enough, or too much, it looks like a series of losses. Poems can work as a reckoning of these losses or, in the case of Calgary poet Richard Harrison’s sixth and latest book, a sort of temporary dike—sandbags of words keeping out the floodwaters for just a little while. Leaving to one side Harrison’s tendency to use typography as a means of bullying his words into meaning, and his readers into submission to that meaning, these lines embody loss at the same time as they attempt, briefly, to conquer it. The unpunctuated rush of words in the second and third lines quoted here, the final switch of tense from the accepting simple past to the longing-for-resurrection past progressive, and the sadly insistent repetition of “my father,” all come together to build a self-consciously fleeting memorial to a memory. The best of Harrison’s work has this quality of direct experience intertwined with reflection, and so does the worst of it. 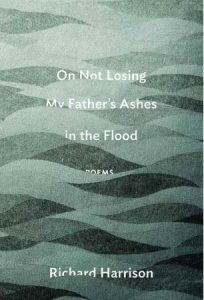 On Not Losing My Father’s Ashes in the Flood is one of those rare books of verse that doesn’t have a single truly unsuccessful poem in it, but I found myself longing for Harrison to face loss a little more directly, without involving meaning or counterpoint. 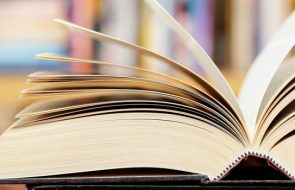 Poems like “With the Dying of the Light” or “A Home on Al-Mutanabbi Street” are too intent on salvaging something out of the nothing that lies at the end of all things. It’s a loving intent, and a brave one in its way, but I read Harrison’s description of his father on his deathbed and am reminded of the exquisite words of Gwendolyn Brooks: “even in death, a body […] Shows what / It showed at baseball. What it showed at school.” Before I had ever seen a corpse, I loved those words—and knew they were not true. —Alex Rettie is a Calgary writer.